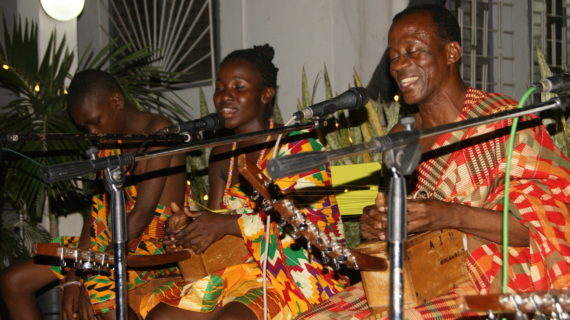 A family of “seperewa” players – comprising a father and his two daughters – on Wednesday transferred a cheerful audience to a tranquil village through a refined expression of traditional Ghanaian music. 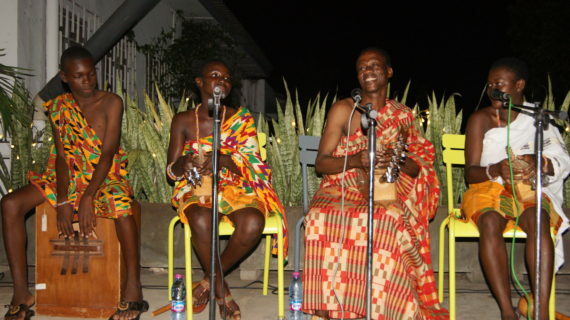 Performing at the Goethe-Institut in Accra, seperewa virtuoso Osei Korankye, young players Abena Korankyewaa / Serwaa Korankye and prepremsiwa player Osei Kwame created their own world of sounds that are well known in some royal courts of Southern Ghana. 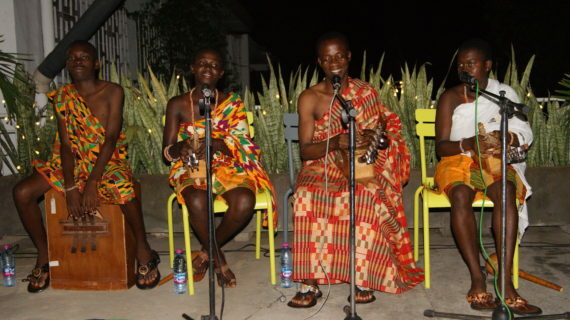 A vibrant encounter between two musical generations and traditions, the quartet flattered the audience with historical lyrics that touched on diverse subjects while showcasing a more transparent texture of “seperewa” rhythms. 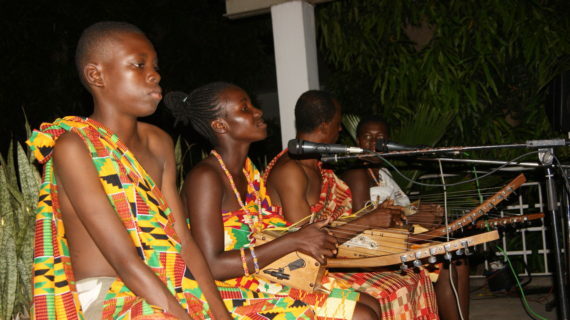 Indeed, harmony and rhythm merged into a continuous stream with soothing and possibly therapeutic rhythms flowing freely from the stage as father and daughters effectively manipulated the “seperewa” – a harp-lute chordophone – into a refreshing musical extravaganza. 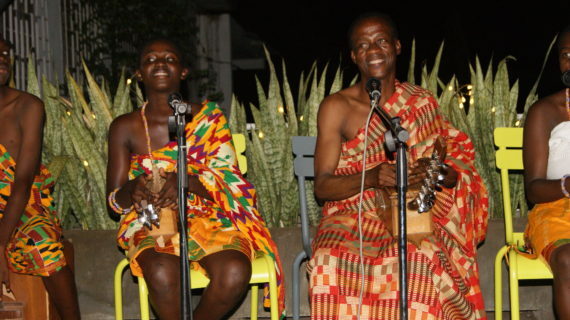 “We were treated to a dramatic fusion of sweet and light music with three simple instruments that managed to sustain the interest of the audience throughout the entire performance”, said Tom Nsiah, a retired mechanical engineer in Accra. 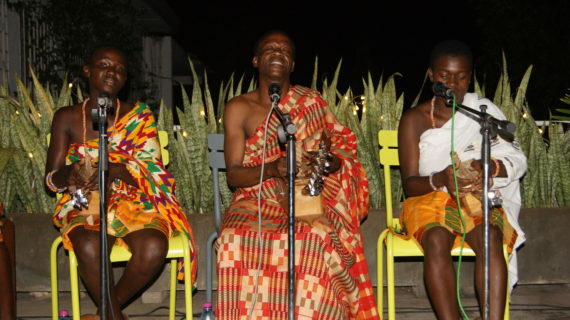 A devotee of traditional Ghanaian music, Korankye and his kids surprised the audience with a brilliant rendition of compositions by living legend Agya Koo Nimo and the late highlife exponent E.T. 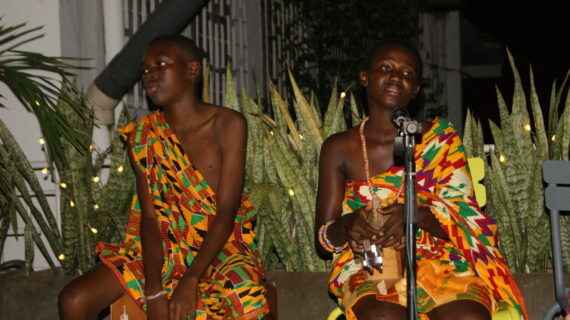 Mensah as the crowd listened with immersive attention. 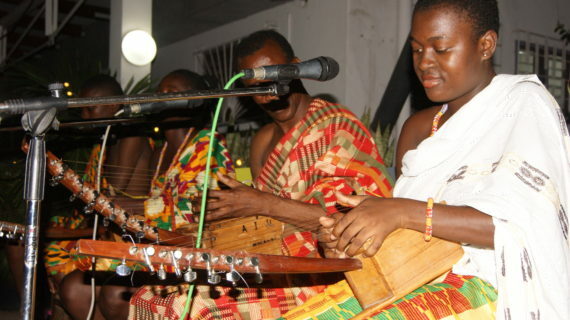 Abena and Serwaa entertained the crowd with “Adenkum”, a calabash instrument that produces sounds when slapped with hands and forearms with accompanying chants and songs. 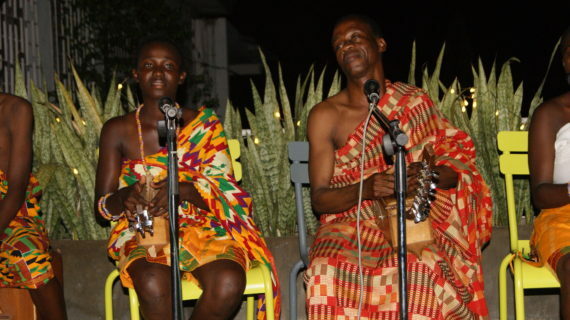 A little known instrument, Adenkum is currently receiving attention among academics and music students. 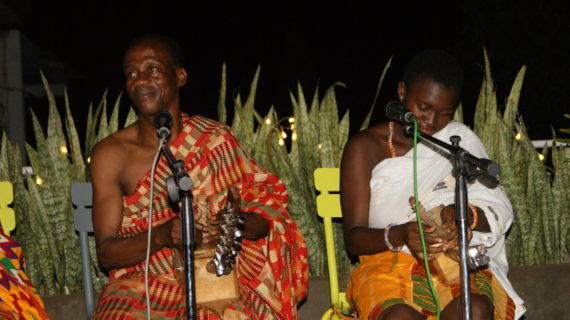 The performance forms part of a monthly acoustic music session dubbed “Goethe-Abansuro”, which offers a platform for musicians and poets to showcase their artistic creations while having a close engagement with their audiences.